Sales is in a weird place right now—a time of flux. B2B social selling is growing every quarter, steadily displacing cold calling as the best way to meet and engage new prospects—but cold calling isn’t completely dead yet. You may still have potential clients in several verticals that you can funnel into your sales pipeline through traditional prospecting methods. However, it’s worth addressing how and when to divert your time and energy away from one-on-one cold calls toward more effective, streamlined, scalable social selling tactics. When is it time to make the transition to social selling, and how exactly do you do that without sacrificing productivity? Let’s dive into this week’s top social selling tips and find out. Even the most effective cold calling skills can’t cut it alone anymore. Sales leadership trainer, Paul Castain, argues that while cold calling might still a reach a few new clients, the most effective prospecting is a combination of cold calling and social selling. Skip the waiting. Get in front of influencers now through a fusion of cold calling and an aggressive social presence. Use every tool you have available and connect with more new prospects. Social selling has all but replaced outdated cold calling. However, most sales cycles still require getting decision makers on the phone at some point. To succeed, sales professionals have to master traditional cold calling techniques while adapting their larger strategy to modern social selling tools. In the new LinkedIn eBook, The Post Cold Call Era: Combining Sales Tools with Social Selling, three veteran social selling leaders show how they created a winning sales strategy, changed their sales culture, and achieved measurable results. They also layout some best practices and common pitfalls to guide new sales teams through the transition into social selling. Download the eBook and change the way you prospect. A well-laid plan makes everything easier. 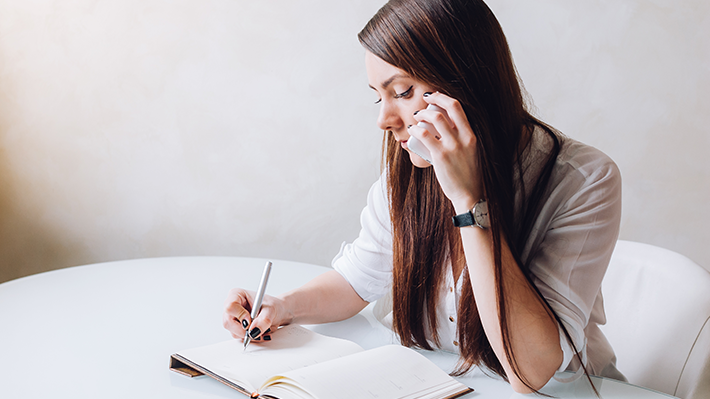 Inc. 500 business owner, Vanessa Nornberg, outlines six questions that will inform any prospecting tactic—from cold calling or social selling—to immediately drive more business your way. Nornberg lays out a simple premise: “Before I can explain my product or service to the customer, I need to ask good questions to find out which aspects of my product can bring him value.” Nornberg’s questions include asking about timing, current providers, pain points and desirable features. This first step to successful prospecting is gathering the information your sales team needs to add value. The way in which you reach these prospects is certainly shifting toward social selling platforms, but the questions you ask these prospects not be as different as you suspect. Reaching new clients today doesn’t require a whole new language, just an updated vocabulary. Social selling tools are simply the latest iteration of traditional techniques like cold calling and email outreach. Discover where influencers in your market are and adapt to their preferred communication methods. It doesn’t matter how you get the conversation started, just as long as they’re listening. Subscribe to the LinkedIn Sales Solution blog and make sure your sales team is speaking your customer’s language.